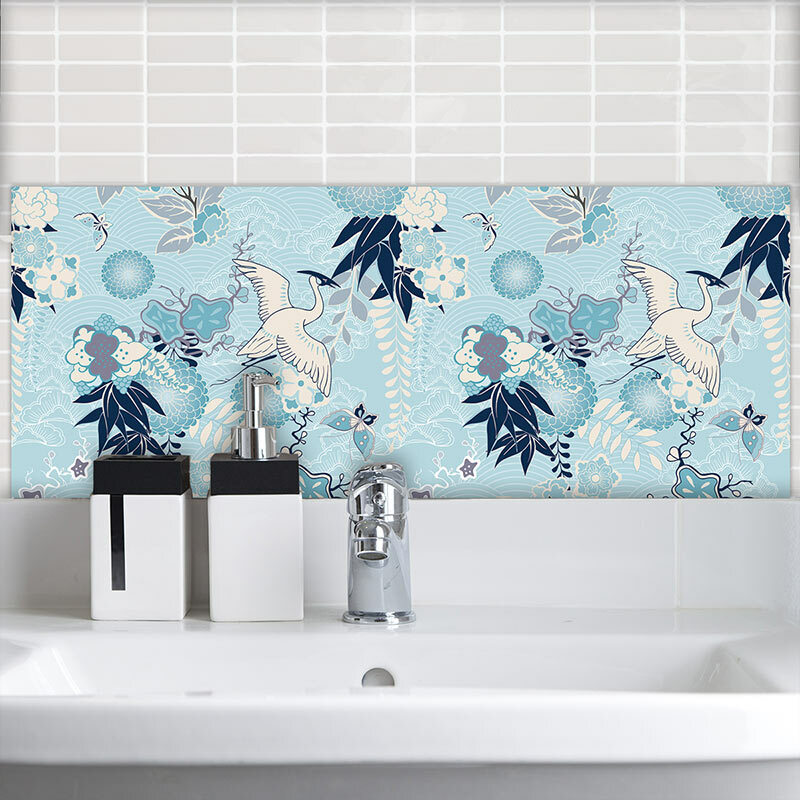 Inspired by the Orient, our new pattern collection for feature art tiles, glass splashbacks and bespoke wallpapers is just the thing for adding a dash of the East to your décor. If like me, your colour palette gravitates to relaxed and neutral tones, an accent piece with a little bit of pop can really change the mood. Couple the colour with cool illustrations of flowers and fauna from far-flung destinations. These designs are destined to add drama to any room in your home. I looked at ways to add colour to the bathroom in this previous blog post. 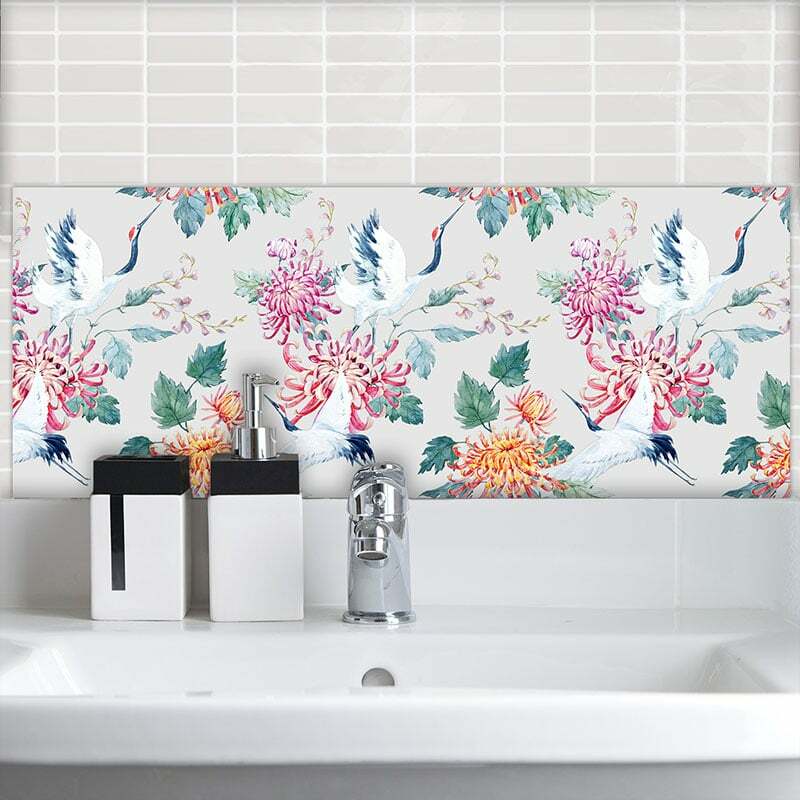 These luxurious picture tiles, splashbacks, and oriental pattern wallpapers will create the same impact and focus in one easy to achieve project. Looking to use a cool blue in the kitchen? 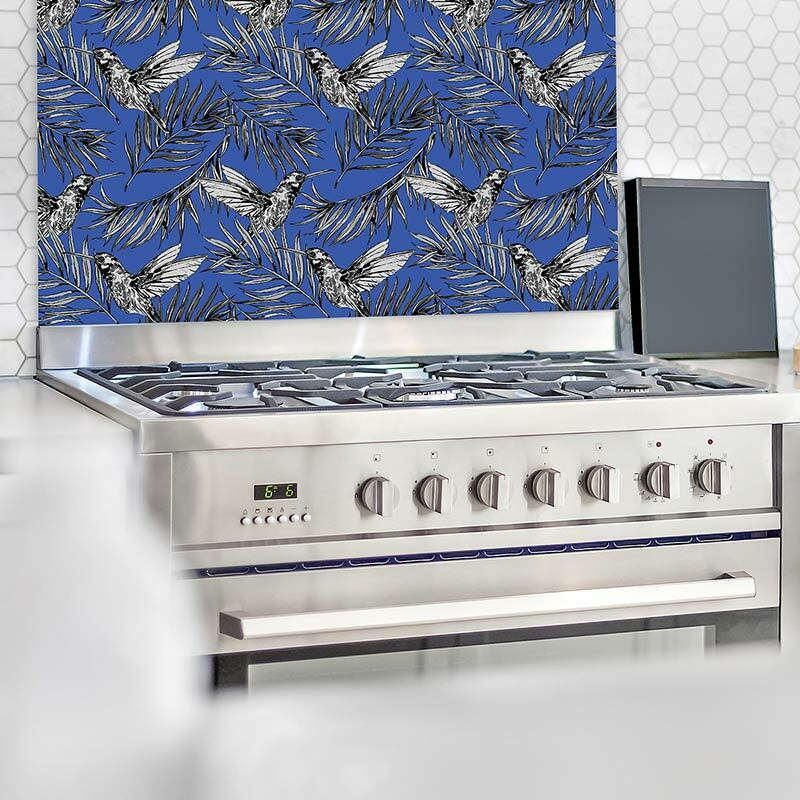 With its deeper colour shade, Liling pattern as a printed glass splashback creates the feeling of birds’ wings gently swooshing overhead on a summer stroll! To compliment a subtle off white shade in the bathroom, Emiko decorative Feature Tile really lets the style of Japan come through. As simple as a ceramic printed tile to fit but with so much more vibrancy and individuality. Stand one up on the mantel – they even look great as standalone printed art! Switch the background to an opulent deep red and add a splash of dusky pinks. What a difference it makes to the room’s vibe and mood. Your home is unique, don’t forget to show it! Some of the patterns have an almost vintage feel to them – on-trend design meets timeless and classic colours. 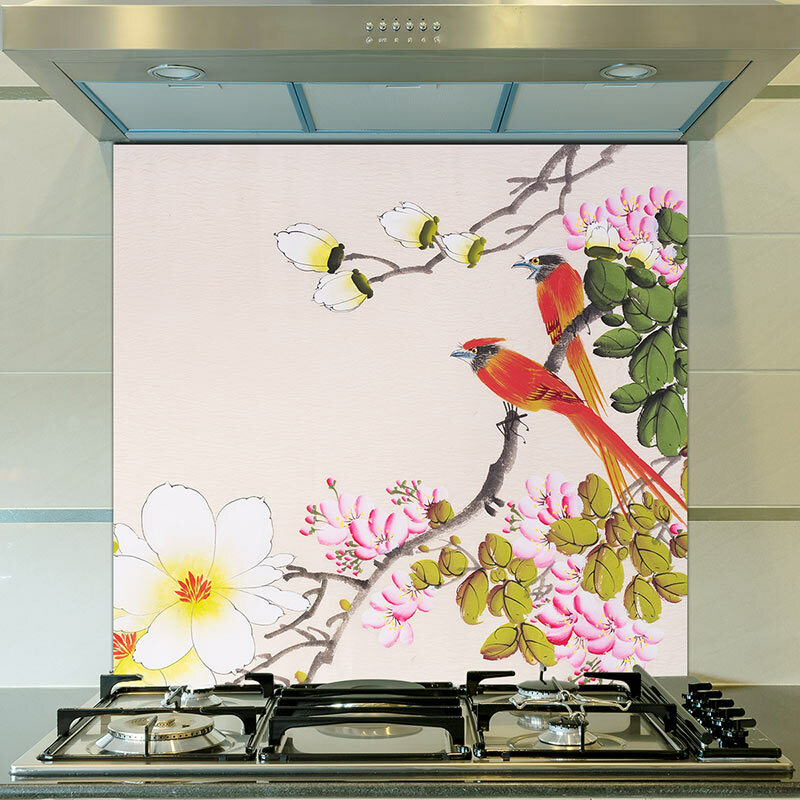 Bespoke wall murals and glass tile oriental art designs exclusively crafted to help make your home more special. Oriental floral designs and chinoiserie patterns are all the rage on the high street and in high fashion. It’s no surprise if your home décor is looking for a bit of the same exotic passion. From Vogue magazine to Ted Baker’s Flight of the Orient, infusing a little bit of eastern promise in the home doesn’t need to be as difficult as black-belt sodoku! 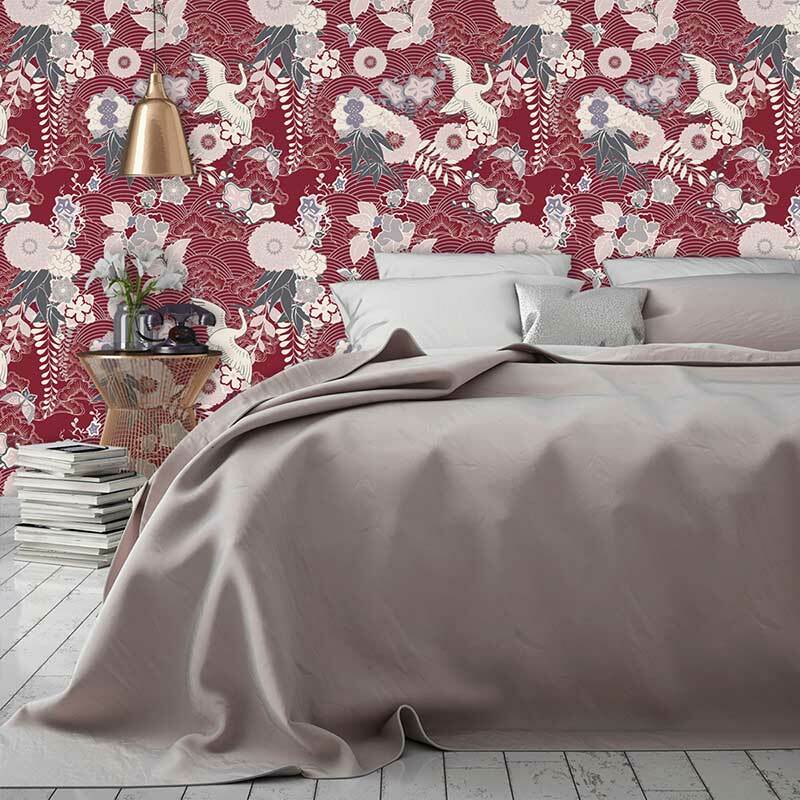 We’re compiling a lookbook for interior inspiration 2018 (it includes wallpapers, flooring as well as more ideas for oriental art tiles) and we know you’ll fall in love with it! Feature Wall Tiles – Colour & Charm For The Coolest Of Walls! 7 Simple Ideas That Make Your Bathroom Pop!